Credit: Velázquez A. 2004. La colección de pintura del Banco Nacional de México. 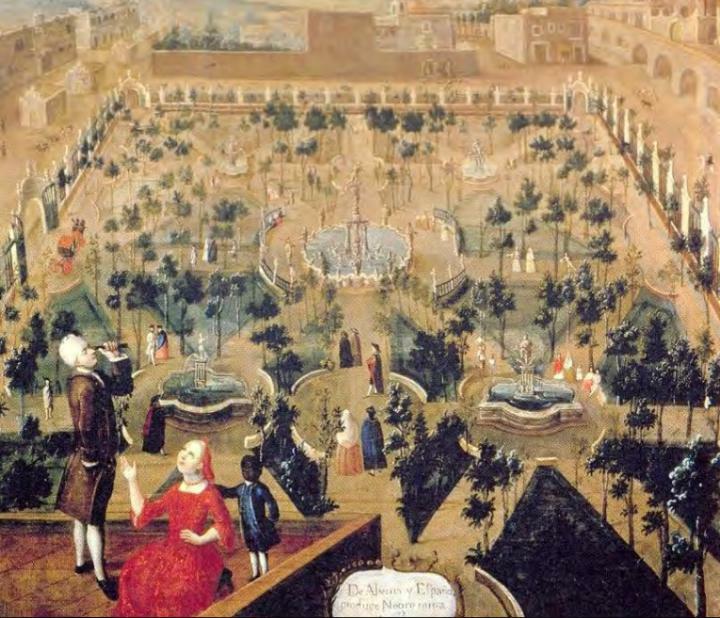 Catálogo, Siglo XIX, México, Fomento Cultural Banamex, 2 V…. An international research team, including scientists from the Max Planck Institute for the Science of Human History, the University of Tübingen, the National School of Anthropology and History in Mexico City, and the University of Zurich, has recovered the first historic genomes from the bacterium Treponema pallidum, which causes syphilis. It was previously not thought possible to recover DNA of this bacterium from ancient samples, so the success of this study opens up the possibility of directly studying the evolution and origin of this reemerging disease. In the study, published in PLOS Neglected Tropical Diseases, the researchers were able to distinguish genetically between the subspecies of the disease that cause syphilis and that cause yaws. Though the diseases cause different effects in living persons, they are not readily distinguishable in skeletal remains, which had previously hampered study of the disease. Treponema pallidum is a bacterium that affects humans worldwide, causing, among other diseases, syphilis and yaws. In particular, sexually transmitted syphilis is regarded as a re-emerging infectious disease, with millions of new infections reported annually. Despite its historical significance, the evolution and origin of syphilis, and other treponemal diseases, is not well understood. In particular, a 15th century syphilis pandemic in Europe has led to debate regarding whether the disease originated in the New World or the Old World. Because the different treponemal diseases leave similar signs on skeletal remains, it was not previously possible to definitively examine syphilis cases in the past. In the current study, the researchers examined five individuals whose remains were recovered from the former Convent of Santa Isabel, a historical site located in downtown Mexico City used by nuns of the Franciscan Order from 1681 to 1861. The remains were selected based on skeletal features which suggested a treponemal disease. Three of the individuals tested positive for treponemal DNA. As with 90% of the individuals from the cemetery, the three individuals were infants, one likely pre-term. They were all buried in the colonial era, around 350 years ago. Whole T. pallidum genomes were recovered from all three individuals, and the researchers were able to determine that two of the individuals carried subspecies T. pallidum ssp. pallidum (which causes syphilis) and one T. pallidum ssp. pertenue (which causes yaws). The distinction between yaws and syphilis was not discernable from the morphological evidence alone. The researcher's findings show that both reconstructed sub-species of T. pallidum can present similar symptoms but can be differentiated genetically in ancient samples. "Our work demonstrates the value of molecular identification of ancient pathogens, particularly as applied to treponemal diseases where skeletal responses to the various pathogenic subspecies are often shared, challenging the development of a confident diagnosis through osteological observation," explains Verena Schuenemann of the University of Zurich, first author of the paper. The research begins to shed light on the evolutionary history of the disease. Some researchers have hypothesized that syphilis was a New World disease that was introduced to Europe during the colonial era. Others suggest that it was already widespread in human populations prior to the 15th century pandemic. The current findings complicate the hypotheses. "Previous research that found the presence of T. pallidum ssp. pertenue in old world monkeys, and our finding that two T. pallidum subspecies likely caused similar skeletal manifestations in the past, may suggest a more complex evolutionary history of T. pallidum than previously assumed," states Alexander Herbig of the Max Planck Institute for the Science of Human History and co-corresponding author. This first reconstruction of T. pallidum genomes from archaeological material opens the possibility of studying its evolutionary history at a resolution previously assumed to be out of reach. "Further investigation of additional ancient samples from around the world will help to refine our understanding of this disease," notes Johannes Krause, also of the Max Planck Institute for the Science of Human History and co-corresponding author.